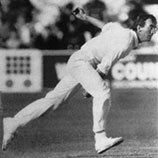 This website is dedicated to the memory of Peter Roebuck, the finest cricket writer and commentator of his generation. Nominate your favourite Peter Roebuck article. Read the Featured Article: Australia not charred by the Ashes. Read and rate cricket articles by Peter Roebuck. Taken from Peter Roebuck’s Benefit Year Brochure in 1990 when he was playing for Somerset County Cricket Club. Cricketing facts about Peter Roebuck’s career to that date. 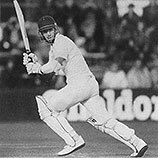 Cricket statistics of Peter Roebuck’s career up to 1990 – his benefit year when playing for Somerset County Cricket Club. Data includes stats for his time playing for Cambridge University and First Class Match Statistics.